We have some fantastic bridleways. 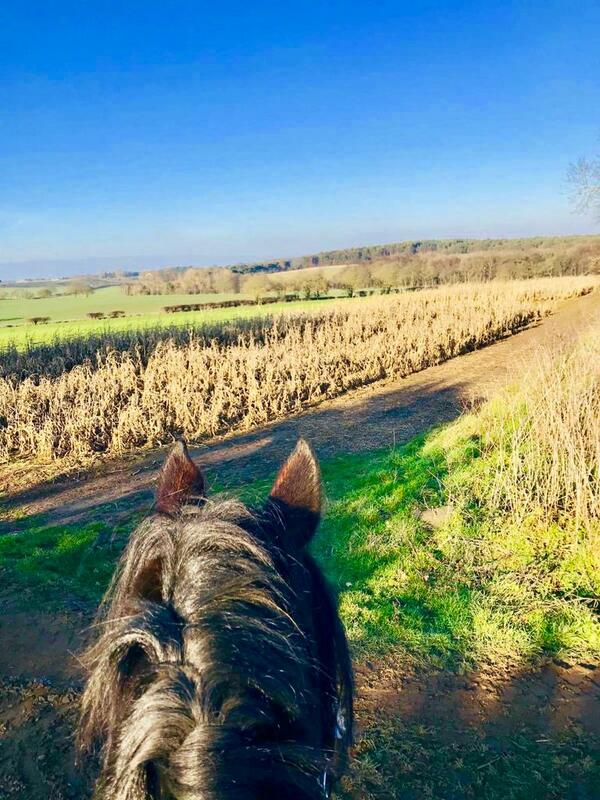 The bridleways vary from a one hour route around Center Parcs with no road work, to routes further afield through the local countryside, woodlands, farms and villages. 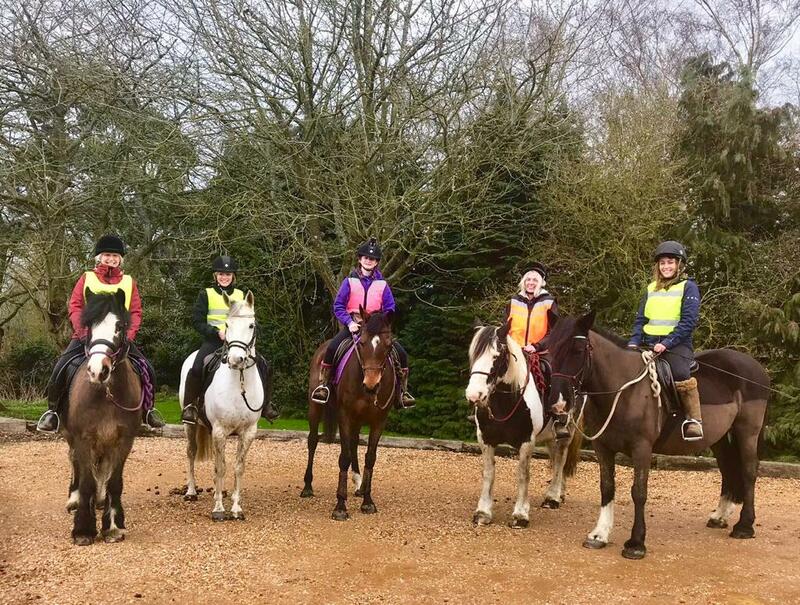 Not only are our hacks a wonderful way to relax and enjoy the countryside, they also offer a chance to spot a wide variety of wildlife as well, including Red Kites, Buzzards, Woodpeckers and several species of Deer. Before heading out all new clients will be asked to ride in the school for a brief assessment. 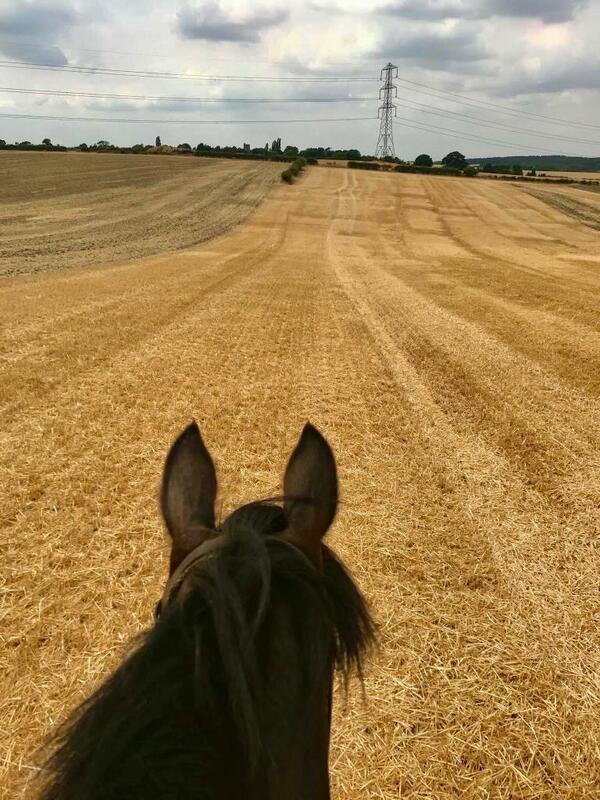 Join us for either a one or two hour hack around the beautiful Bedfordshire countryside. Our one hour hacks are completely free of roadwork. The two hour hacks cover more ground and we are lucky enough to have four different routes to chose from! The two hour hacks go further afield and so include a small amount of roadwork. For the little ones we offer 30 minute walkouts around the Centre Parcs bridleway on one of our lovely ponies. Children will be accompanied by staff on foot and led if necessary. If 30 minutes is too long, we also run Tiny Tot rides which consist of a short twenty minute lead rein walk around the woods. What better way to pass a summers day than spending all day on horseback riding through the scenic countryside and enjoying a stop at The Green Man in Eversholt for lunch and the French Horn in Steppingly for mid afternoon refreshments. Minimum of four hours riding. 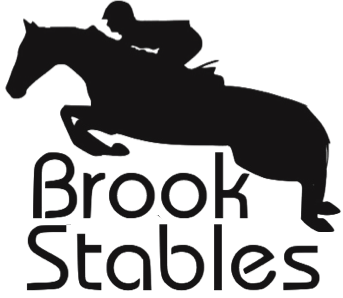 If the thought of a whole day in the saddle is too much or work is keeping you away, we are now running evening hacks with a stop at the French Horn in Steppingly for refreshments. Minimum of two hours riding.